Bring customers into your shop. Give your Office a Professional Imaging. We have qualified signage design and technical designers who can help with creative solutions and new projects. We have the capabilities to create all types of signage from digital printing to full wayfinding solutions. With our network of installers nationwide we can offer full assurance that our work will be completed to a high level on time. Shop & store signs let your business stand out from crowded. Depending on your shop type and budget, Most popular signs are Awning signs, light box and window graphics We can fabricate 3D illuminated letters with fully automatic cutting， bending， and welding mashines， which mean geart quality and quick turnaround. Give your Office Professional Imaging. For privacy or safety reasons Frosting is commonly used in office. Frosted signage is an affordable product and is widely used in the corporate environment. Reception signs, Wall Graphic and Frosting are most popular signage in workspace. Your moving signage, advertising everywhere. Vehicle Graphic is one of the most efficient way of branding. It is your moving billboard. Master Promotion can offer from simple Vinyl letters to a full vehicle wrap. Been trusted by most fleet company for over 10 years mean quality and high standard service. Auto Bending and Laser Welding Assist Master Promotion Production line. Master Promotion using CNC auto bending machines to fabricate 3D letters. Productivity have been increased dramatically and accuracy is great. 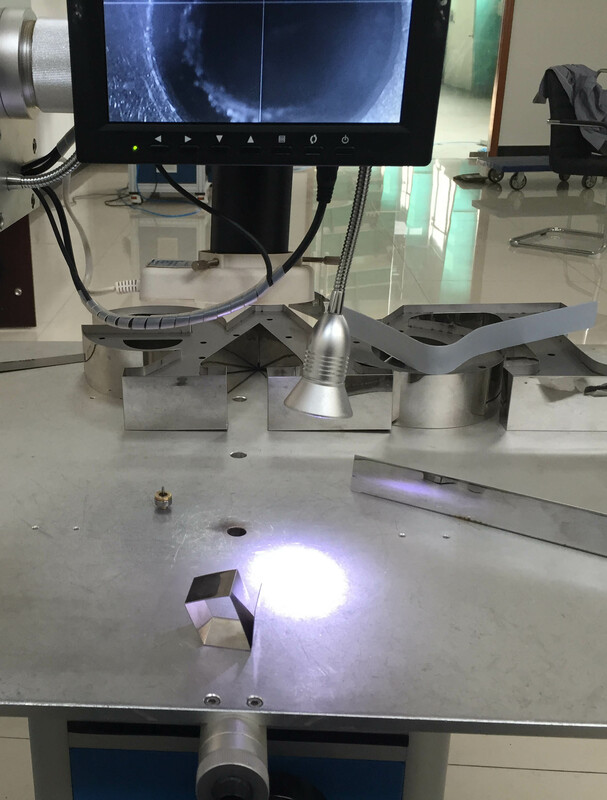 Laser Welding machine make stainless letter with no welding mark, and keep the finishing quality. 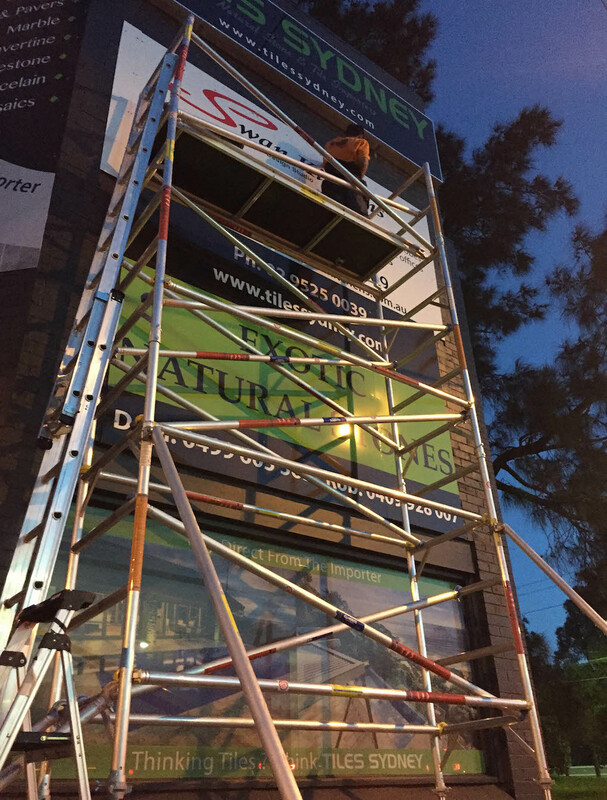 Master promotion profession installation team installed Tile Sydney in Taren Point, with the large size graphic and outdoor LED display. Tile Sydney become landmark on this street. Want see blue mountain on the Prado? It is happed. 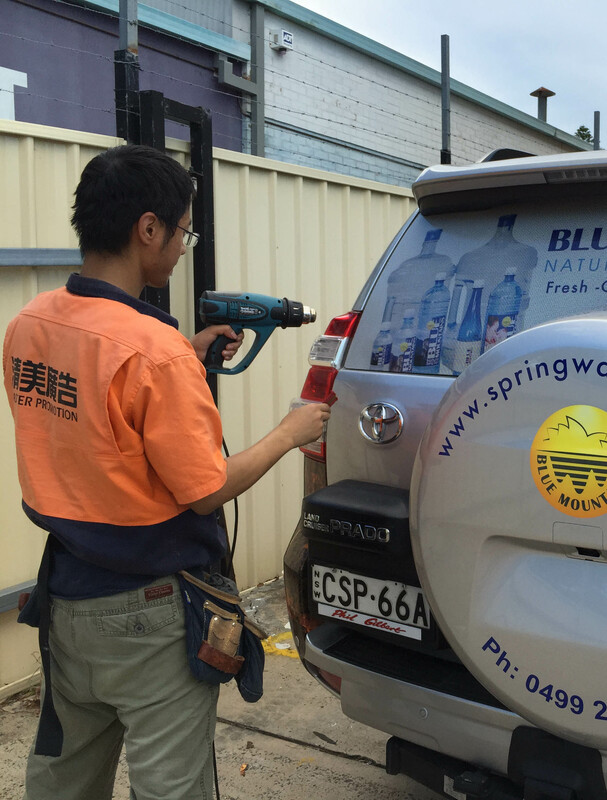 Master Promotion Design, print and Installed Vechile signs for Blue Mountain Spring Water. In this job, we use Avery Cast 7 years vinyl printed with Genuine Mimaki BS3 ink, durability is guaranteed. ”It is beautiful, much better than we imaging.” Director Tracy said. 100% perfect vechile signage job on the road. 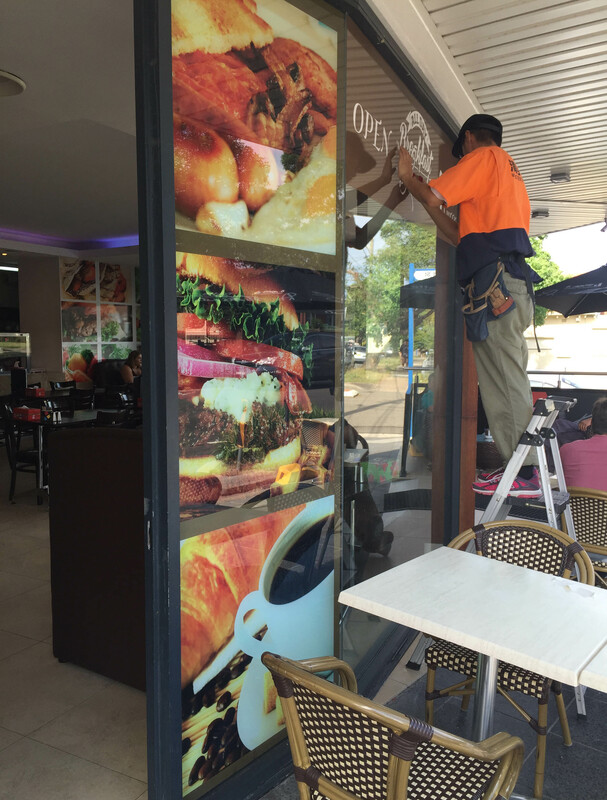 Master Promotion design print and installed Vinyl window Graphic signs for Belfield café. Vivid pictures attracted more walk in customers from the road. Professional is mean 100% perfect job. Vinyl we used is Avery 7 year vinyl with lamination, last very long under the sun. Copyright © 2015.Master Promotion All rights reserved.